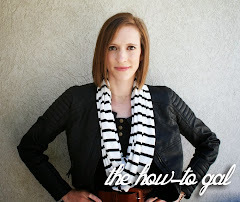 The How-To Gal: What's in My Bag? Do an image search for "In My Bag" and you'll find a plethora of fantastic shots into the lives of women across the world. What a person carries in their bag says a lot about them, don't you think? Want to step into my bag for a moment? My bag is a Steve Madden satchel shoulder purse. 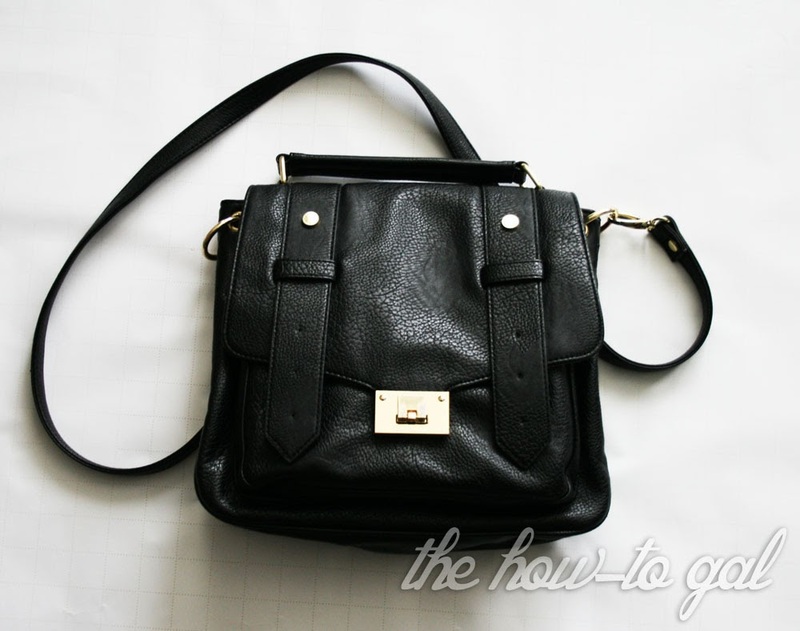 I really like this style because it is easy to carry, is small enough to not feel overwhelming, but can still carry a ton of stuff. And inside? The essentials and a few really random items. 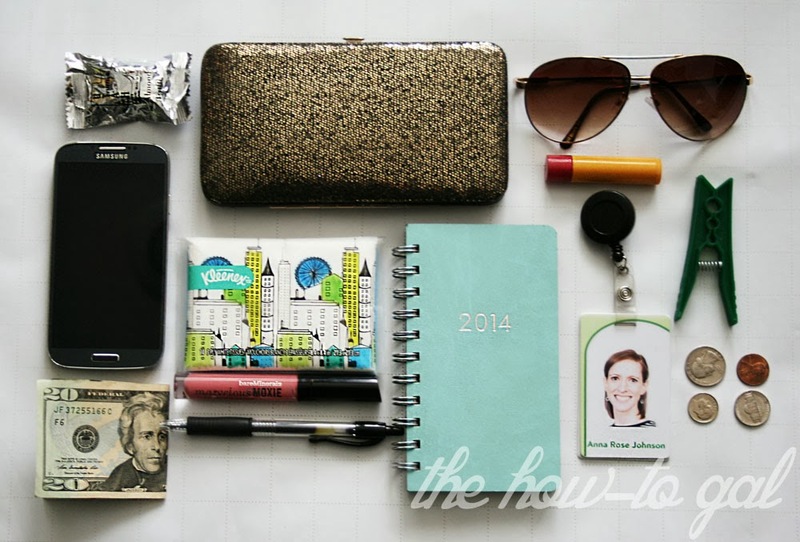 Utah Truffle, Shimmer clutch from Target, Steve Madden sunnies, cell phone, Kleenex to-go pack, Paper Source planner, Burt's Bees pomegranate lip balm, giant clothespin?, work badge, change, mulah, Bare Minerals Marvelous Moxie, Pilot G-2 ultra fine point pen.